An email signature is a great way of increasing your brand popularity. Sending out emails with your signature can provide clients with all the necessary information about your business including contact information and website details. We all know that sending emails frequently to clients is a good way of trying to retain and get new leads. Email marketing is becoming more popular as it offers businesses the opportunity to send personal emails to clients. In 2017, email marketing through click in the UK reached 17.45%, the highest it’s ever been. Because many people respond to emails, using your business email signature as a part of a branding strategy is a move in the right direction. Companies like NEWOLDSTAMP provide a wide variety of e-signature templates that can help you to increase brand awareness. You can take advantage of the platform to promote your startup business. You must be wondering how you can add e-signature into your branding strategy. Well, there are so many ways of doing so. Let’s get right to it. 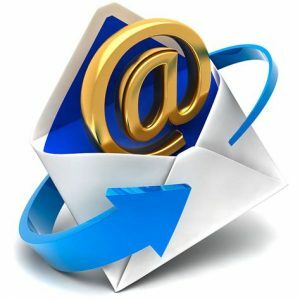 Including your company’s website in your email signature is one of the easiest ways of increasing your brand awareness. To ensure success, always make sure that click directs clients directly to a homepage where users can find more information about your company. In addition to this, add a link to your blog as well. Your blog will act as a way of sharing new information about your company with people who visit the page. In so doing, you will also be encouraging readers to become customers in the future. Social media’s importance in marketing is obvious and more businesses are using this platform to increase sales. This platform offers a good, marketing strategy because you have access to a lot of people from all over the world. What makes things better is that you can use social media platforms like Facebook to target a specific audience. So why not take advantage of this? You can add your social media links to your business email signature in order to increase your brand awareness. You can either provide social media account links for your company or your own personal account. However, providing your company’s social media accounts is better as it prospects a better chance of acquainting themselves with your company. Using videos can be the best way to promote your business. Sometimes prospective clients may not have enough time to go through your website to get an idea of what your company is all about. So why not make this easier for them by creating a short video. This video should contain all the vital information about what your business does. To add to this, you can also talk about your brand and company culture. Just like in other fields, case studies provide more insight into what your company does. Your email signature can be used to showcase your business progress by using case studies. Case studies show the problems that clients had and how you were able to resolve these issues. This will garner your company a good reputation. Place a call to action in your email signature for clients to view a case study about previous customers. Looking for a way of announcing any news about your company? Well, your email signature is one of the best ways of accomplishing this. All you have to is to add any news highlights or press release about your company to your email signature. This is a great way of showing clients that your company is doing well and, in the process, acts to promote your brand. Offering something for free is a great way of attracting attention to your brand. You can include a free consultation for prospects in your email signature. This may increase traffic and you will have higher chances of getting and retaining more customers. Also, provide demonstrations of your products or services in your email signature. Free consultations and demonstration of products will help you to improve your relationship with clients. The benefit of organizing events is that it engages prospects. Through these events, you can share with clients about the values of your company as well as company culture. Aside from this, events also offer you a better opportunity of knowing more about your prospects and understanding what they need. Whenever you organize an event, make sure it is something that would be useful for your prospective clients. With so many great options for your email signature to choose from, there should be nothing holding you back. Go on then and use one or more of these email signature ideas as part of your branding strategy. The results will amaze you!